"Gerrymandering and What We Can Do to Stop It"
Running for office can be enjoyable challenging. Find out how to do it from local campaign experts. Presented by the Clatsop County Democrats. This non-partisan training is free and open to the public. The message: Congress must defend the constitution, act as a co-equal branch of government, and pass a resolution to revoke the national emergency. The vote will be on Tuesday. Call your MoCs on Tuesday and implore them to vote YES on the resolution. It's always important to call your Members of Congress, and our Tuesday calls are especially important. Throughout Oregon, Indivisibles are calling our MoCs on Tuesdays, amplifying our voices around a single issue. For scripts and other details, visit Indivisible Oregon on Tuesday. • WRITE a Letter to the Editor. The Daily Astorian - editor@dailyastorian.com or through their website - publishes up to 250 words. No name-calling. Include your contact information. • DONATE to organizations actively working in the courts and mobilizing public opposition to prevent this crisis from getting worse: the ACLU, Indivisible national, Public Citizen, MoveOn, and other similar organizations. 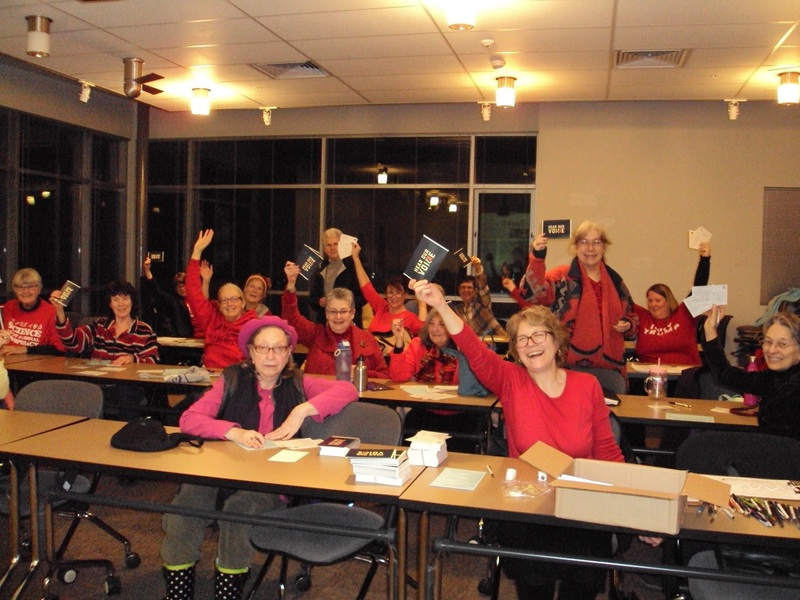 Indivisibles wrote postcards to Members of Congress at one of our earliest postcarding events, hosted by Pamela Mattson MacDonald and Jan and John Nybakke. March, 2017, at Columbia Hall at the college. Making Election Day a national holiday. The Move to Amend supported proposed US constitutional amendment saying that corporations are not people and that money is not speech has been reintroduced in US Congress on Feb 22, 2019, again getting bill number HJM28, as it has for past several congressional sessions. Couple things to note: The old chief sponsor has retired and so Rep. Jayapal introduced it this year. She is from WA state. Also, the original co-sponsors this time include OR Representatives DeFazio, Blumenauer and Bonamici. That means that of 11 original co-sponsors, 3 are from Oregon. for H.R. 1. and HJM28. • Who Will Plan Clatsop County's Future? Housing, traffic, development, emergency preparedness. Apply for a seat on a Clatsop County Comprehensive Plan and Community Plan Update Committee by 4 pm on Friday, March 1. The Citizen Committee Application forms are available from the County Manager’s office at 800 Exchange St., Suite 410, Astoria,; or online here. Contact Clatsop County Community Development Department with questions at 503-338-3666. Learn how government works. See if public service is in your future. Build a progressive bench. Voters will elect board members throughout Clatsop County on May 21 for Special Districts that oversee schools, water, fire departments, the Port of Astoria, and more. These Special Districts are essential parts of our communities. Board members set budgets, decide programs and priorities, and make other major decisions. Positions up for election here. You can be a candidate for a Special District board in Clatsop County. 820 Exchange, 2nd floor, Astoria. If you don't run, who will? 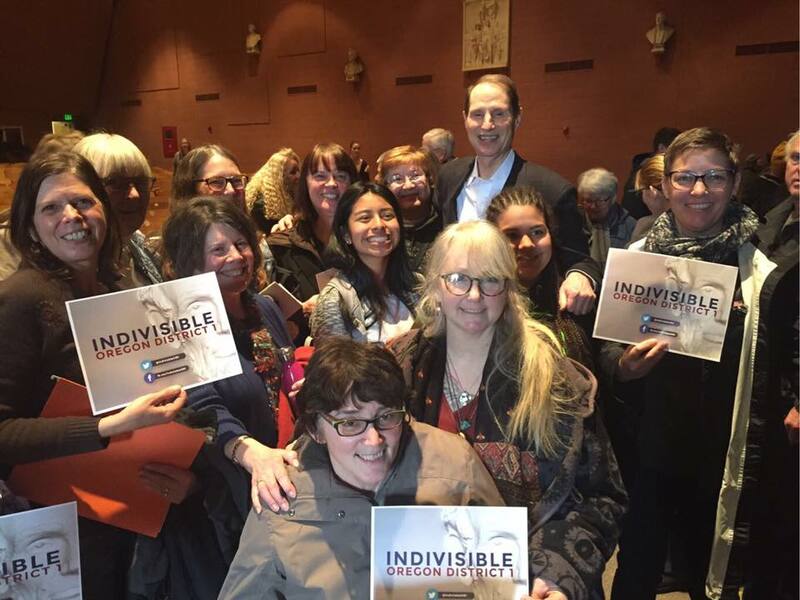 Indivisibles and Senator Ron Wyden gather after his February, 2017 town hall at Astoria High School. • An almost re-enactment by LaRee Johnson about the fascinating woman who crossed the Oregon Trail in the 1840’s and worked for women’s suffrage for 40 years. She was Oregon’s first woman to vote. * Did you know that trees talk, know family ties and care for their young? Is this too fantastic to be true? German forester Peter Wohlleben ('The Hidden Life of Trees') and scientist Suzanne Simard have been observing and investigating the communication between trees over decades. And their findings are most astounding. - encourage responsible storage of firearms with a cable lock, trigger lock, or gun safe, and gun owners must be held responsible if their unsecured firearm is accessed by a child or used to cause harm. It is the responsibility of the gun owner to use and store firearms in a manner that reduces the risk of access by others, including curious toddlers, impulsive or depressed teens, adults who lose their judgement due to anger or substance abuse. - pass domestic violence relinquishment Currently, if someone is convicted of domestic violence or stalking, they are prohibited from purchase or possession of firearms. If they try to buy a gun, they will fail a background check and be prevented from purchasing. But if they already have firearms, we need to strengthen the law on the method and timeframe in which they must relinquish their firearms. Please thank Congresswoman Bonamici for co-sponsoring H.R. 8 for universal background checks. National Popular Vote just passed the Colorado House of Representatives and will be signed into law by the state's governor. NPV is designed to make the Electoral College vote reflect the nationwide popular vote for President. INCO supports efforts to pass NPV in Oregon, especially in the Oregon Senate, where key players have kept it from coming to a vote. Contact your legislators now to urge their support. Representative Mitchell is on record as a supporter. Sign up to receive the e-newsletter from new State Representative Tiffiny Mitchell, a founding INCO leader. About her colleagues, she says, "....we have a diversity in perspective that truly recognizes the need to change many of our institutions and will be responsive to their constituents’ needs (because they understand the daily grind themselves)." Everyone is welcome to all these events. 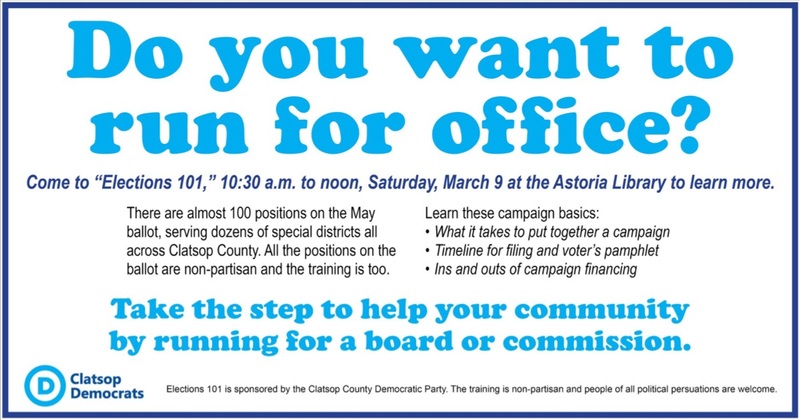 Saturday, March 2 - "Gerrymandering and What We Can Do To Stop It", 2 pm, Astoria Public Library Flag Room, 450 10th Street. A presentation by the Oregon League of Women Voters, co-sponsored by INCO. Wednesday, March 6 - Advocacy Team monthly meeting, 6:30 - 8 pm, Seaside Library Board Room. Thursday, March 7 - INCO Table at Ales & Ideas, 7 pm, Lovell Showroom, 426 14th Street, Astoria. Doors open at 6 pm. Food and drink available for purchase. INCO t-shirts and In Our America yard signs available for purchase. David Delk of INCO is a featured speaker. Saturday, March 9 - Warrenton Community Group monthly meeting, 11:30, Dooger's Seafood & Grill, Highway 101, Warrenton. Saturday, March 9 - Astoria Community Group monthly meeting, 2 pm, Street 14 Cafe, 1410 Commercial Street, Astoria. Tuesday, March 12 - Seaside-Gearhart Community Group Monthly Meeting, 6:30 - 8 pm. Contact kathleenannmacdonald@yahoo.com for location. Wednesday, March 20 - INCO Book Club, 6:30 pm, Astoria; discussing The Square and the Tower: Networks & Power from the Freemasons to Facebook, Niall Ferguson, Penguin Random House, 2018. Email cebeady@outlook.com for address. Wednesday, March 20 - Vote the Future (VTF) monthly meeting, 6:30 pm, Seaside Library Board Room. if you don't tell them? • Members of Congress (MoC) care about getting re-elected, so contact ONLY elected officials who represent you so you don't dilute the power of actual constituents. • It's more effective to contact your MoC about one issue at a time. • Be sure to tell your MoC when you agree with their positions and votes. Contact YOUR elected officials here. For current action items, visit www.incoregon.org and www.indivisible.org. Find other suggested actions in the Americans of Conscience Checklist. Come to a meeting and get active with INCO's Advocacy Team, Vote the Future Team, Book Club and Community Groups. Contact Laurie at incoregon@gmail.com for more information. Questions, suggestions, & photos to INCO at incoregon@gmail.com. INCO has 3 websites: our main one; Vote the Future; and Really Do Care INCO Under 40s. Really Do Care also has a Facebook group. Join INCO's closed Facebook group. 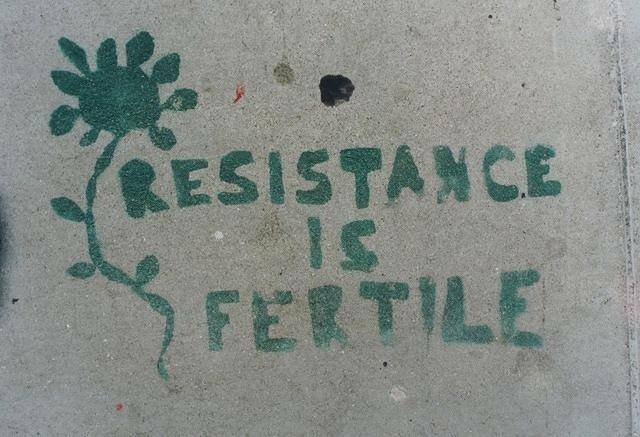 Share this newsletter with other resisters. You can sign up for emails from national Indivisible at www.indivisible.org. INCO is supported entirely by donations. Please donate online or mail a check to INCO c/o PO Box 536, Warrenton, OR 97146. ACTION: CONGRATULATIONS, IT'S A COMPROMISE!